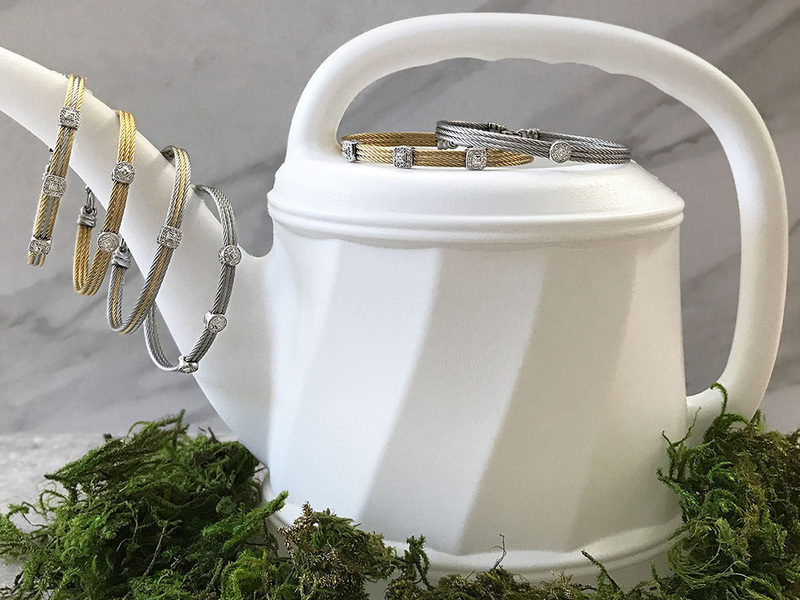 Add a little sparkle and shine to your life with the gorgeous ALOR Classique Bangle with a trio of yellow cable held gently together with two beautiful diamond studded stations. 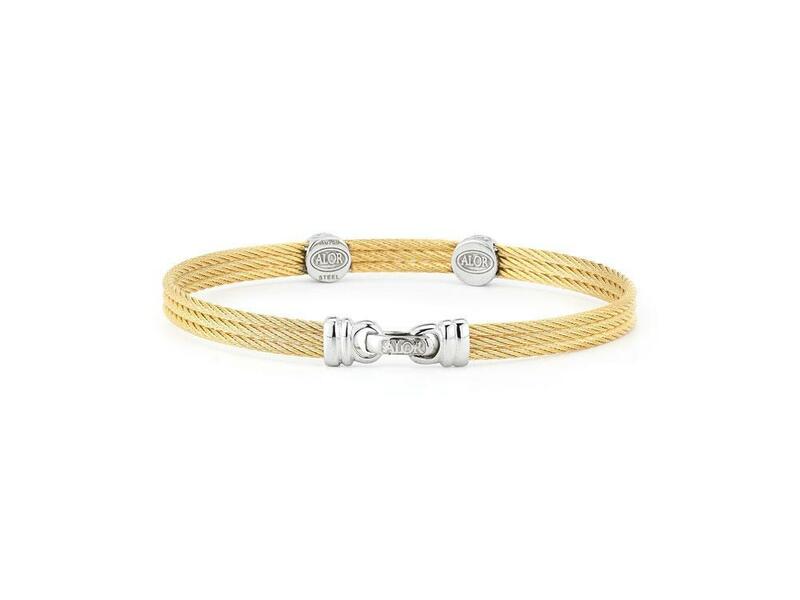 The perfect accessory for any outfit for those that love the look of yellow against white gold. 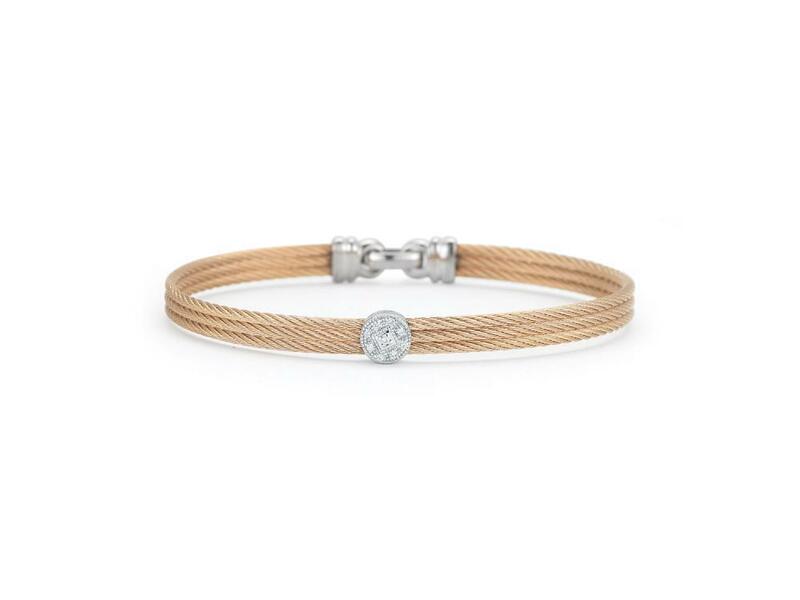 The one you adore will adore this bangle for years to come. Order one for that special someone as a birthday, Holiday, Valentine’s, or anniversary gift. Your loved one will be forever grateful. Yellow cable 3 row 1.6 mm, 18 karat White Gold, 0.09 total carat weight Diamonds and stainless steel. Imported.